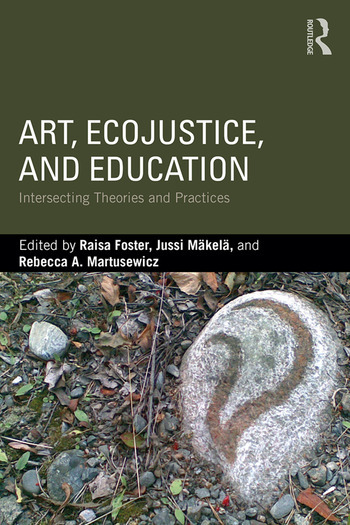 Emphasizing the importance of contemporary art forms in EcoJustice Education, this book examines the interconnections between social justice and ecological well-being, and the role of art to enact change in destructive systems. Artists, educators, and scholars in diverse disciplines from around the world explore the power of art to disrupt ways of thinking that are taken for granted and dominate modern discourses, including approaches to education. The EcoJustice framework presented in this book identifies three strands—cultural ecological analysis, revitalizing the commons, and enacting imagination—that help students to recognize the value in diverse ways of knowing and being, reflect on their own assumptions, and develop their critical analytic powers in relation to important problems. This distinctive collection offers educators a mix of practical resources and inspiration to expand their pedagogical practices. A Companion Website includes interactive artworks, supplemental resources, and guiding questions for students and instructors. Raisa Foster is an independent artist and scholar, and was the Research Director of the Art-Eco Project from 2015 to 2017 in Tampere, Finland. Jussi Mäkelä is an artist and PhD candidate at the University of Tampere, Finland, and was a Researcher for the Art-Eco Project from 2015 to 2017 in Tampere, Finland. Rebecca A. Martusewicz is Professor of Social Foundations in the Department of Teacher Education at Eastern Michigan University, USA.